What impact will my life have? He died without knowing the impact he made. I called him The Boss. He owned the fast food joint where I worked as a young teenager. Like most of my friends, I was just looking to make a buck. Unlike most of my friends, I came away with far more than just money. He owned a few restaurants, and I worked in one of them after school and on weekends. I thought I was going to learn about making hamburgers and sweeping floors. Instead, I learned about working hard. I learned about business, customer focus, work ethic, integrity…I learned about life. In the years since, I have held several positions, some of them at executive levels responsible for hundreds of millions of dollars. I have traveled to many places around the world and taught fancy lessons on business and teamwork and leadership and personal growth. I have presented seminars to many people, some of whom spoke a language different from me. But I have never quite gotten over the lessons that The Boss taught. The simple truths of his teaching seem to find their way to the forefront of whatever I am teaching. Set goals. Write it down. Work hard. Take care of the customer. Take care of your team. Be honest. Deal with integrity. Be teachable. Listen…these truths echo in my writing, my leadership and my teaching. 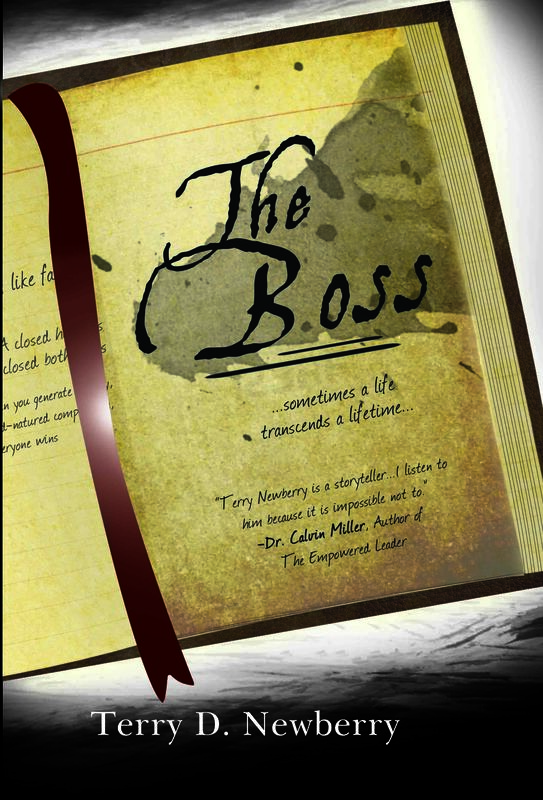 For years, I have harbored the thought of writing a book to share the life lessons I learned from The Boss. But there was always something more important. A project to launch, a net income to earn, a person to mentor, a business to run. The months turned to years, and still no book. But along the way, I was learning. Other mentors came into my life. Team members and customers taught lessons that sharpened me and helped my company to grow and become better. I read wonderful books by amazing business leaders who opened my eyes to new possibilities. I kept growing and learning and teaching. Last year, all the planets aligned, and the book was born. What started out as homage to The Boss morphed into a tribute to all the teams and leaders I have worked with through the years. I just received the first hardcover. It was a magical moment, just like the ones all of you have experienced whenever something was birthed in your life after much striving and growing and creating. And so, Boss, here it is, at last, after so many years. Forgive the delay. Know that the lessons are as fresh as the day you first introduced them to me. I hope you are looking down, with a smile on your face. I hope you know you matter. I hope you know that your life transcends your lifetime. I hope you know that I still carry your lessons and celebrate your investment in me. For more information on The Boss, go to terrynewberry.com. This entry was posted on Wednesday, June 27th, 2012 at 9:31 pm	and tagged with Business, Education, Leadership, Personal development, Work ethic and posted in Uncategorized. You can follow any responses to this entry through the RSS 2.0 feed. Wow. Your post makes me want to have known The Boss. I’ve had people like that in my life. They have made it SO much richer for them just being them and allowing me to tag along. Thanks for taking the time to write Terry! Hello! Long time no talk! Thanks so much for reading/commenting. How is your business doing?